Discover Salt Spring Island waterfronts! Salt Spring Island offers an authentic marine experience. There are varying types of waterfront: beach, deep water, high bank/mid-bank/low bank, dock, no dock, tidal, semi-waterfront...expansive panoramic views, narrow fiord-like vistas, bays, coves...something for everyone. Located in the some of the best protected boating waters in the world, this area is now called by its historic name: the Salish Sea. Sailing, kayaking, power boat discoveries...seals, whales, sea lions, eagles, gulls...the ocean experience surrounds us. A lake is more your thing? Well, the tide is always in. Salt Spring's lakes are also fresh-water fishing destinations. A little beachcombing is in your dreams? Time to check out the allure of Salt Spring's hidden coves. Call me! Yes, waterfront has your name on it. 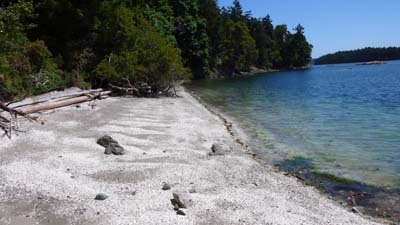 How may I help you to discover special Salt Spring Island & the Southern Gulf Islands? Call me! Seeking waterfront on Salt Spring Island? Moving to Salt Spring? Still need to work?